Toronto Dance Theatre celebrates its fiftieth year. For its fiftieth anniversary, Toronto Dance Theatre is touring eleven Canadian cities with House Mix, a selection of five short works from choreographer Christopher House, the company’s Artistic Director since 1994. It is an eclectic sampling of House’s work, spanning his decades-long career. The program begins with the frenetic Martingales, a piece in which a dozen dancers bound about the stage following a set of rules not entirely clear to the audience, but the outcome of which is at once repetitive and unpredictable. The piece is concerned with chance and the liveness of the process of creation and, as such, is perhaps more compelling as an exercise than a spectacle. By contrast, the measured and sober diptych Fjeld is a duet for two women followed by a male trio. The accompanying music by Estonian composer Arvo Pärt is solemn and moody, perfectly matched to the piece’s aesthetic. The first, which the program notes say is inspired by the films of Ingmar Bergman, evokes the warring women of such films as Persona and Cries and Whispers. The male trio, rich in religious symbolism and dripping with homoeroticism, is tender, restrained and gorgeous. 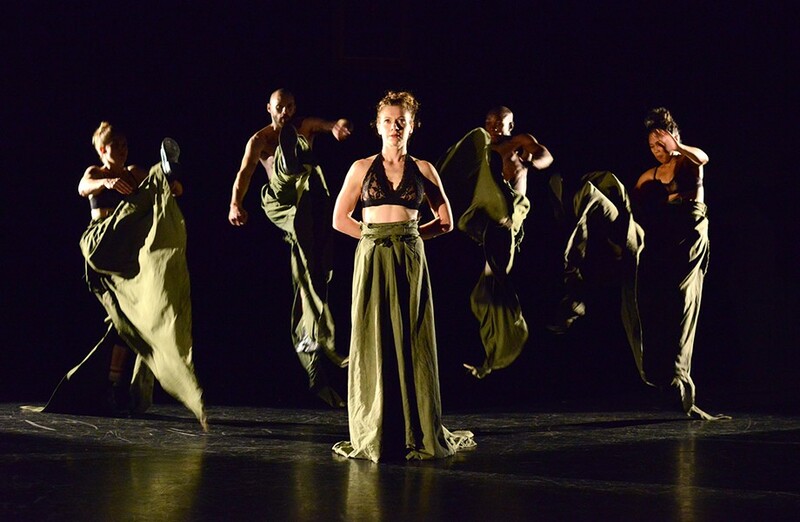 Vena Cava, the final piece of the evening, brought all twelve dancers back to the stage for a lively, percussive piece set to the music of Robert Moran. It was the most dynamic showing of the program, and offered humour and levity that the previous numbers lacked. House Mix is a diverse but uneven selection of House’s oeuvre, but showcases the indelible legacy of an artist whose intellectual rigour and aesthetic inventiveness are surely to be celebrated.